Have you been planning your dream wedding for a long time? It’s a special day that’s going to change your life forever, and you just wish for everything to be beautiful. There’re a lot more that requires your attention, apart from the wedding dress. Caterers, menu, and decor? Check! Guest List? Check! Bridesmaids? Besties! Check! Best Man? Check! Check! Check! Master of the ceremony? – Silence. Who’s going to lead the vows? Being in the profession for a long time as a wedding officiant in Oklahoma, Dr. Tinsley has countered a number of cases where the bride and the groom sometimes forget about the person who is actually going to lead the best part of their wedding when they say the magical words – “I do.” However, the best practice is to book a wedding officiant in advance. 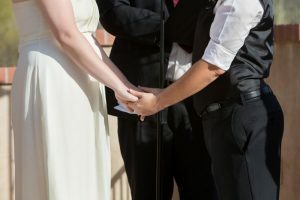 In case you missed it, Tinsley Keefe, a highly experienced wedding officiant in OKC, shares the ultimate secret behind finding the right wedding officiant in a very short time. The secret is to ask the right set of questions. A wedding officiant in Oklahoma City has the legal position to sign the wedding documents. Apart from considering the cost of officiating a wedding and acquiring sample scripts from other weddings, here are other concerns to clarify before you hire the right wedding officiant for your special day. Are you planning to host a traditional wedding ceremony or a small wedding party in your backyard? Either way, you need to find a wedding officiant in OKC who is compatible with the type of ceremony you intend to have. For example, if the bride and groom plan a religious church wedding, then the wedding officiant must be of the same spiritual circle as well. You have the freedom to ask prospective wedding officiants in Oklahoma about their flexibility. 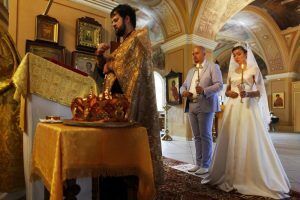 An inflexible wedding officiant cannot be expected to adapt precisely to your needs, especially if it’s a cross-religion wedding. Pro Tip: Clearly discuss your plans for the wedding ceremony with your prospective wedding officiant. You may need to guide the rituals and speech as well. This should be one of the very first questions you ask. Ask the prospective wedding officiants in OKC for their availability on your wedding date. And that’s not all. Some couples prefer that their wedding officiant joins them at the wedding rehearsal as well, particularly if they are conscious about the ceremony going according to plan. 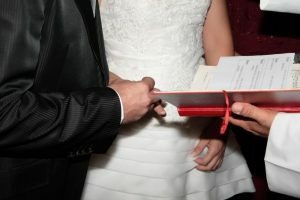 Pro Tip: It is essential that you request the prospective wedding officiants for their priority lists, as many wedding officiants in Oklahoma City are pre-booked. In such cases, even if they agree to officiate your wedding, they may be distracted and unfocused during the ceremony if they need to rush to a second appointment. Another very important factor to consider when choosing the right wedding officiant is the ability of the wedding officiant to personalize your ceremony according to your needs and preferences. Ask the prospective wedding officiants if they can flexibly work off the script, for a truly memorable wedding. 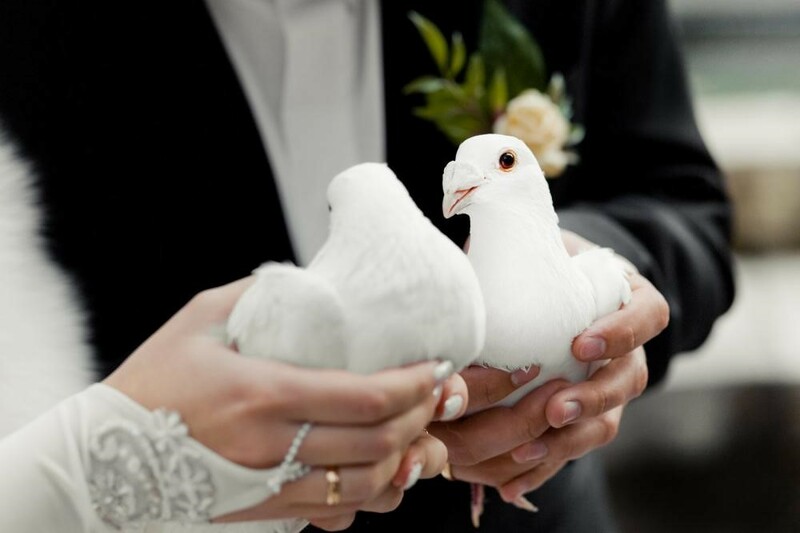 A bond or connection between the couple and their wedding officiant plays a great role in making each moment unforgettable, and as per your needs. Pro-Tip: An officiant who shares chemistry with the couple can better understand their needs. This is why some people go to a family member or a best friend. A wise practice is to hire a person who has previously officiated weddings in Oklahoma. To find the most suitable wedding officiant in Oklahoma City, call us at (405) 593-3515.